At the Shaolin Temple, our masters told us that it took 40 days before any lasting change would happen in our mind and body. Buddha sat for 40 days under the Bodhi tree before he gained enlightenment. Jesus and Mohammed fasted for 40 days before they went back into the world to share their teachings. Scientists have found that after 40 days, the neural pathways in our brain make a lasting change. If you are just starting out, or have been working with my DVDs for many years and want to reinvigorate your practice and transform your mind and body into a Shaolin Warrior then the 40-day challenge is for you. It’s 40 days of putting a stronger emphasis on your practice, of training more than you usually would – which may mean getting out of bed an hour earlier -, training 6 days a week, and doing some additional mind training throughout the day. After 40 days you will see a significant change in your mind and body. The DVDs that you use are down to what level you are. You will need at least 1 Kung Fu DVD or download, at least 1 Qigong DVD, download or book as well as the Instant Health bamboo or metal massage brush. 1. Attitude Of Mind. Train where you are with what you have. All you need is faith you can do it and your bamboo or metal brush. Just play my DVD and follow the training. You can follow it in a small flat, outside in the park or on top of a mountain. 2. Surrender to the teachings. One thing that slightly irritates me is the amount of questions I get asked by my Western students. I know that your education is different to mine but coming from a Zen Temple we put the emphasis on practice. If I asked my Master so many questions he would beat me! The more answers I give, the more I take away from your experience. Everything you seek is in the teaching if you can only surrender to it. 3. Practice AM & PM. In the midst of your busy life it’s difficult to train twice a day but for the next 40 days this is what you must do in order to progress. Even if you only have 10 minutes in the morning, do a little Qigong and stretching and this will help your day flow better while reminding you that you are training to be a Shaolin Warrior. I like my main training to be in the morning, this sets me up for the day; I then do Qigong in the evening to revitalize my body and give me a deep and peaceful sleep. Find the way that is right for you. 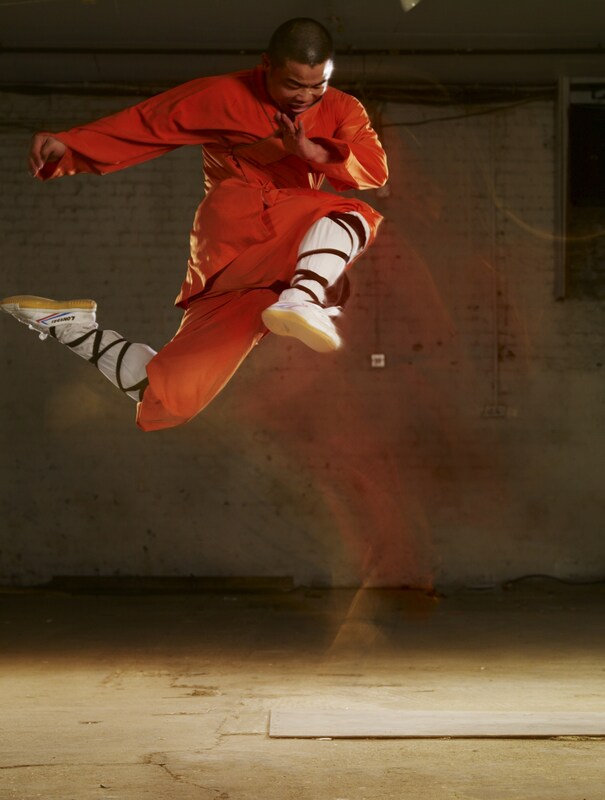 4.Be A Shaolin Warrior In Your Life. Breath is the link between the mind and the body. It’s the key to a powerful martial art’s practice. A Shaolin Warrior is grounded and focused so keep reminding yourself to breathe throughout the day. If you have a digital watch, you can set a few alarms or get it to beep on the hour as a reminder for you to stop and breathe. 5. Eat Right. Check out my blog post about food. For these 40 days put an emphasis on eating well. Make sure you eat a big breakfast every day, don’t drink any sugar drinks or eat processed food. Try to cook your own food. 6. Train Intelligently. 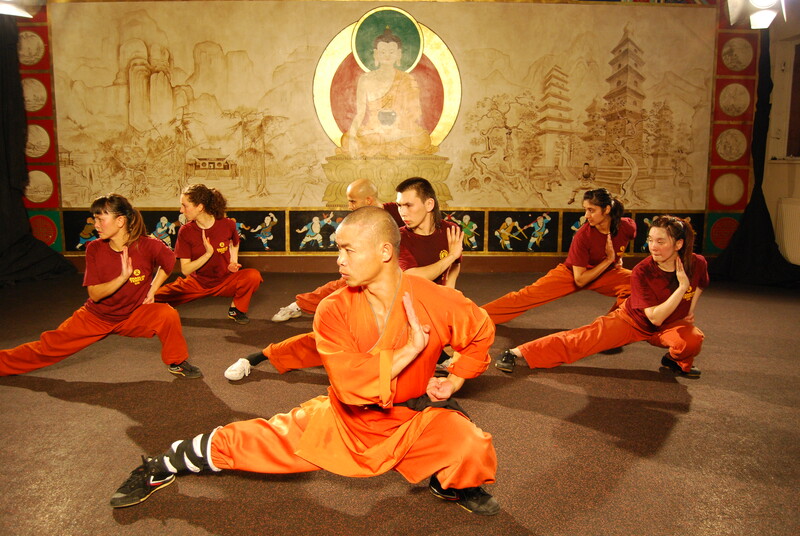 The beauty of Shaolin is in its many exercises. What do I practice every week? The five basic kicks, the five stances, some traditional kicks and punches, bag work, pad work, exercises from my Circuit Training and Bootcamp followed by Qigong. Once you know the exercises from my DVDs, mix it up so that your body never gets used to any workout, this means your body will never get lazy and you will always be working to your optimal. 7. Schedule Your Challenge. Write in your diary the day you will start. Throughout the 40 days make a note of the changes that you experience as well as what happens to your fitness levels. How many press-ups and squats can you do now? How many can you do after 40 days? How flexible are you now? How flexible after 40 days? How about your focus and your peace of mind? Shaolin is as much about the mind as it is about the body. Join the new Facebook page I’ve made for people training with my DVD so that you can join with your fellow Shaolin Warriors to share your journey and support each other. Or come and train with me at the Shaolin Summer Camp this year in China. Remember. Great mind and bodies are not born that way, they are trained. 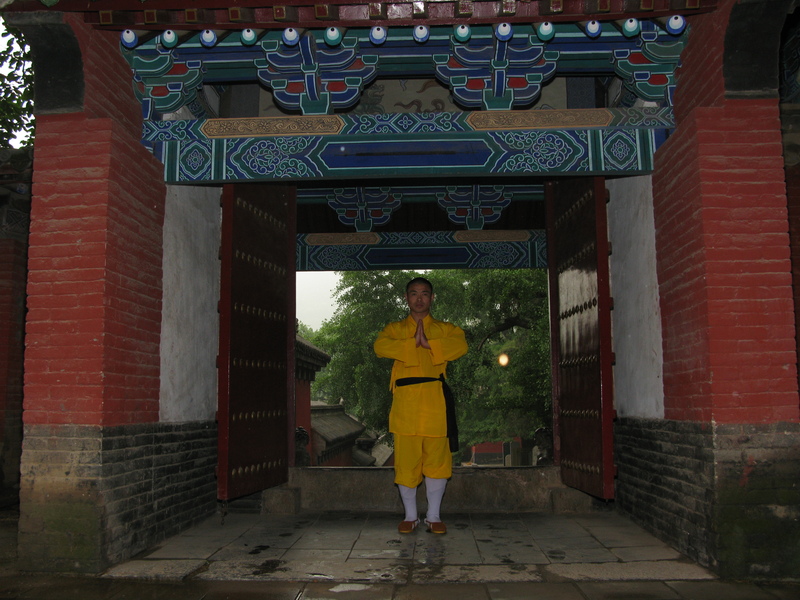 Shifu Yan Lei teaches Shaolin Kung Fu & Qigong with DVDs, books, downloads and personal training.